Sweet ripe figs are carefully preserved in this French puree, wonderful for smoothies, cocktails and desserts. 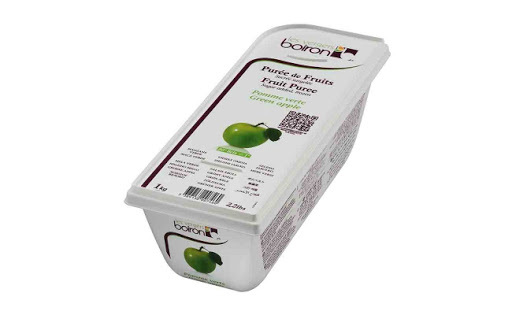 This puree's beautiful bright color comes from the Granny Smith variety that Boiron sources locally. Selected ripe apples have a sufficient proportion of skin that provides an intense green flavor to this apple puree. New Zealand has called it "kiwi", after the bird's flightless bird, but it actually comes from China. Kiwi fruit is a hairy fruit that needs to be brushed before turning it into a puree. A strict selection of ripe-picked lemons in the best areas providing a constant taste, color and texture with special blending techniques.